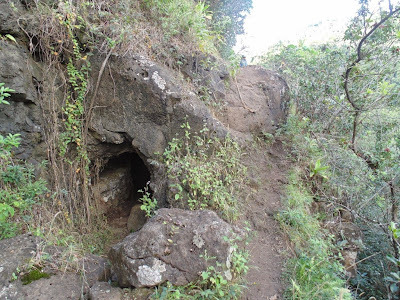 We end out Waimano Tunnels Trail series with a look at the trail itself. The top photo shows part of the trail. It is mostly flat through there are some uphill portions none of them being super steep. Earlier in this series I mentioned you could go around most of the tunnels. The photo below shows the path to the right that goes around the tunnel. I also noticed the photos make the tunnels look very small so I just want to reiterate that while you may have to duck and perhaps squat down a little to make it through the tunnels… there was never an instance where I had to crawl and many of the kids in our group didn’t even need to duck. 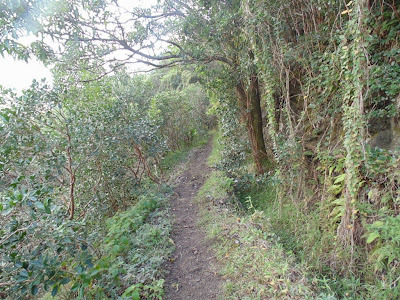 The trail is pretty easy to find just follow Waimano Home Road up the hill until the gate and hike away. 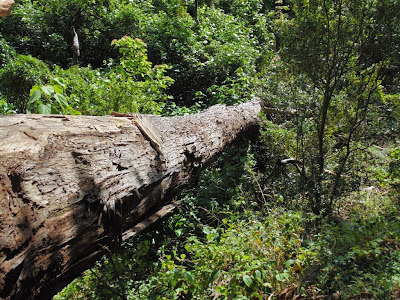 Along the Waimano Tunnels hike we came across this huge fallen tree. It forms a bridge to nowhere but for those brave enough they can walk part way on the tree. I’m always on the lookout for interesting things like this or plants, flowers or fruits on hikes. Its a good way to escape from the world for a few hours at least… especially if you go deep enough to lose cell phone coverage. 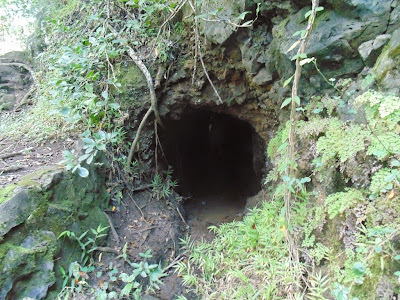 Here is the entrance to another of the tunnels. I have to also point out that it is possible to go around most of the tunnels except if I recall right the last one. In fact at time its actually as fun to go around the tunnels as you have to climb upwards and sometimes hold onto a rope to assist you. I got the best of both worlds by going through all the tunnels on the way in and then going around them on the way back.